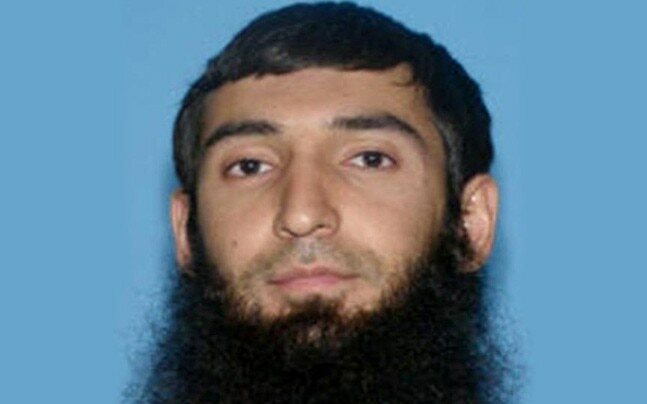 How many Sayfullo Habibullaevic Saipov Terrorists are there? 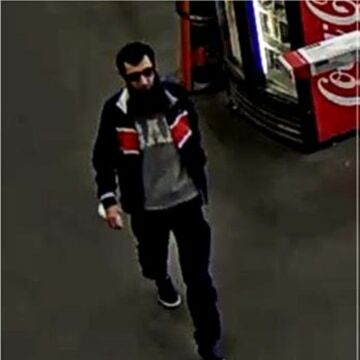 Is this the man who in a rented pickup truck mowed down pedestrians and cyclists along a busy bike path near the World Trade Center memorial on Tuesday, Oct. 31st, 2017, killing eight and injuring eleven? 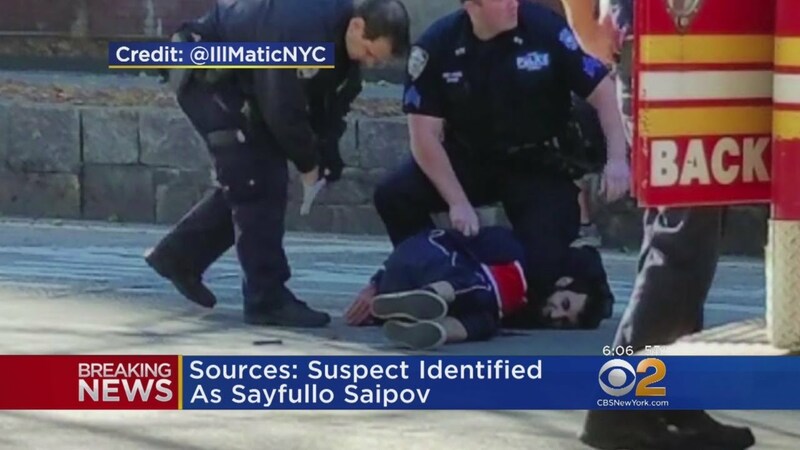 Despite politicians and media accepting undiscriminating, the official story of the Halloween New York "terrorist" attack, I fear that apart from being formulaic and repetitive of previous doubtful events, it poses many enigmas and inconsistencies. Here I propose to pose and discuss just one: the identity of the stated killer on the basis of published images and official statements. FIG. 2. Image already circulating by 11.01 (!) the next day. From our experience of previous notorious events, I think we are justified to be wary when the identity, complete with photographs, are circulated within virtually minutes of the event. Those familiar with crime and criminals will attest that seldom do perpetrators make themselves available to police willingly. In fact the opposite is almost invariably the case. Criminals, particularly of serious crime, do not want to be caught and go to considerable length not to be. Nor as a rule do they make their images readily available either to police and media. In fact most crimes are committed by people who are never identified in any way by police, let alone caught and prosecuted. So when we witness a person, as in this case, immediately detained and identified complete with perfect photographs we should at least raise a question in our minds as to possible foreknowledge and planning by the authorities concerned. 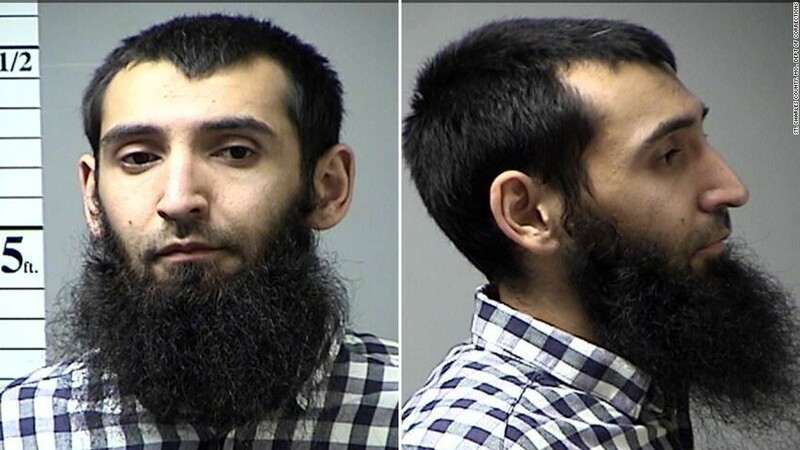 The person arrested and immediately blamed for the event which it is claimed killed eight and injured eleven, was the 29 year old migrant and naturalised Uzbek, Sayfullo Habibullaevic Saipov. Within hours police and/or media were circulating an earlier and attractive image of his face. Of course as usual no explanation was given how this was obtained and published so quickly. The message was clear: this was undoubtedly the terrorist. 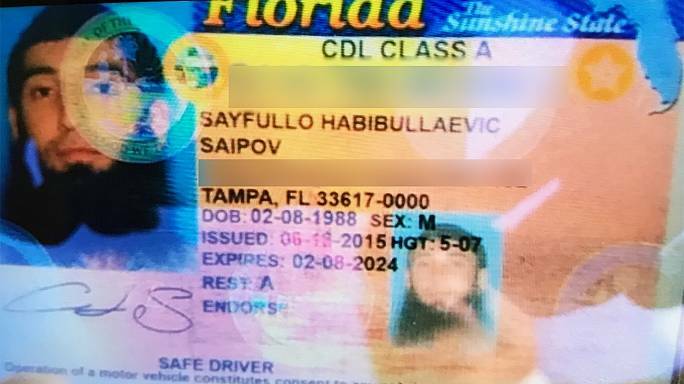 The image used appears to be one of several which is also used for his Florida driving licence below and so was taken some time before the 13th (?) June, 2015 - if this image can be relied upon. Yet again we are told, useful identification documentation was discovered in the truck, a feature every professional terrorist ensures to assist police in case he is killed. Soon after another image of him was published, showing him to be 5 feet 7inches tall, presumably taken as part of the arrest process or incarceration process. Note in Fig. 8. he is seen with dark glasses and a very different hair line. He also usefully colour-coordinated with the Coca Cola machine and wears a T-shirt with the word "GAY" emblazoned only - clearly the preferred choice of a Muslim whether extreme or not! However here I come on to a significant objection to an assumption that the faces of the men in these two sets of images, are in fact the same person, and everything turns on the anatomy of his left (on the right side of image) EAR! Look carefully at the image in Fig. 6. immediately above this text. 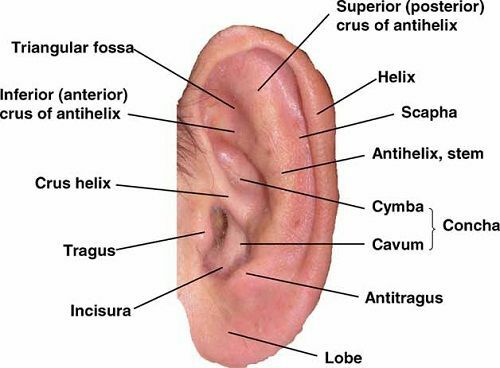 Using the anatomical terms from the diagram below, you will see the very pronounced antihelix stem that runs from theSuperior or posterior crus of helix to the base of the Cymba. It folds distinctly behind a very prominant Antitragus. Now carefully compare this to the left ear in Fig. 4. Note how the Triangular fossa stands out and the Antihelix stem appears much narrower and quite different. Also the Antitragus appear different in size and shape. If these differences are real and not explained by tricks of light or camera angle, and after prolonged examination I cannot see how they could be, nor can I see how anatomical changes with time could account for them, then only one conclusion is possible. These are portraits of an almost identical but different person! Even less persuasive that we are necessarily dealing with one and the same person are the images 8 to 13. We will leave aside all the other issues and questions relating to who and how these images were taken and disseminated, or how he survived so many potentially deadly shots yet shows no physiological (particularly blood!) or emotional evidence of them in Figs. 11. and 12. below. Although we must make due allowance for artistic accuracy, the image of the man in the wheelchair certainly appears much older and care worn than the 29 year old in the other photographs. Perhaps rather understandably, his recent activities have aged him considerably?